*All packages can include a professional photographer or videographer for an additional fee - prices available upon request. *If the helicopter flight is cancelled due to weather, the ceremony will be held at Glacier Gardens. 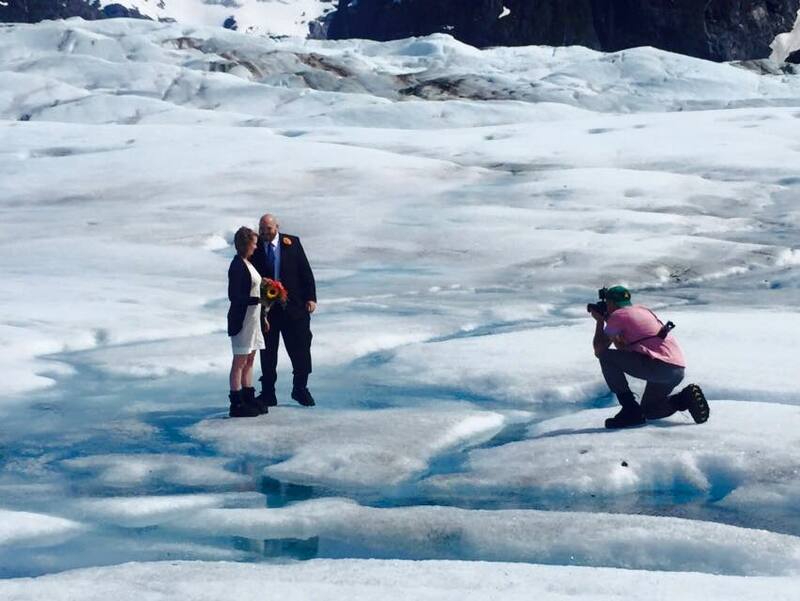 *All of our Weddings On Ice activities operate under a Special Use Permit issued by the US Forest Service. *All above pricing are for the Bride and Groom. Please note that there are additional fees for guests.